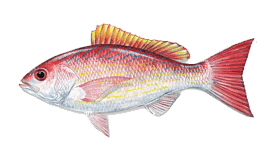 The Red Snapper might be the fish with the most FAQ. 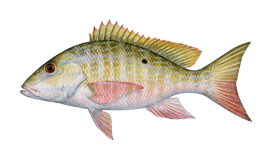 Of these questions, one is particularly pertinent - "When can I catch me some Snapper?" 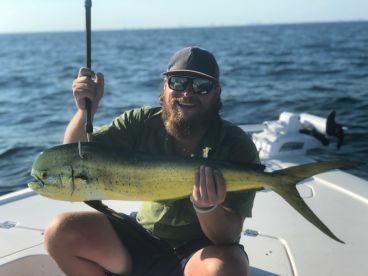 This species is one of the greatest commercial and recreational assets of the Gulf waters and, as all great assets, it's been heavily exploited throughout the years. 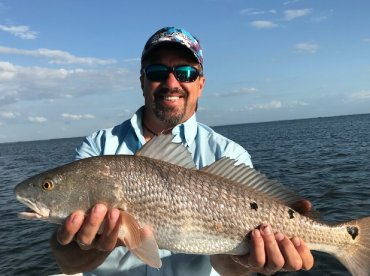 Due to this, a large chunk of the US angling population now has to wait patiently throughout the year, only to converge to the Texas, Loiusiana, Mississippi, Alabama and Florida coastlines during the summer, hoping to catch some well deserved dinner. Snappers usually run in schools of similar-sized fish, sticking close to rocky bottoms, ledges, reefs and artificial structures such as oil rigs and shipwrecks. They can be found at depths ranging from 30 to 440ft, with the majority concentrated between 60 and 200ft. Larger and older females lay many times more eggs than younger ones, so their abundance is vital to keep the species sustainable. This is why strict regulations are in place. 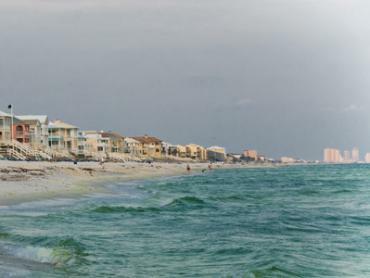 When the Snapper season's running, everybody's coming. 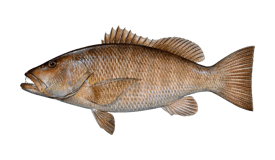 Snappers reach reproductive maturity relatively quickly (in 2-5 years) compared to their life expectancy (more than 50 years, with the oldest reported being over a century old). 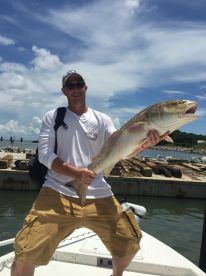 Adults are within the 16 to 39'' range, with the average fish caught being 20 to 25'' long and between 10 and 20lbs. 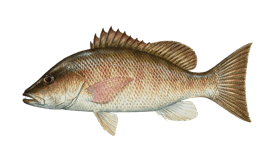 The deeper the water, the larger the fish, but bottoms of over 300ft are reserved for professional commercial fishermen due to mostly belogning to federal waters. 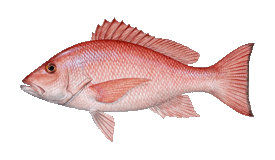 Red Snapper can be found throughout the Gulf waters, but also on the Atlantic side - sometimes as north as Massachusetts, but rarely above Florida. They're not present in the Bahamas and the Caribbean Sea. 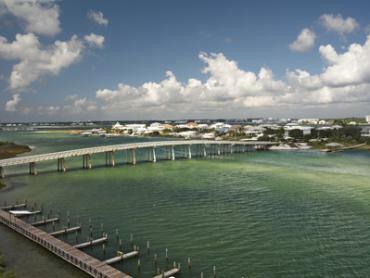 The hottest spots in Florida are off the Panhandle, mainly Destin, Panama City, Ft Walton, Jacksonville and Pensacola. 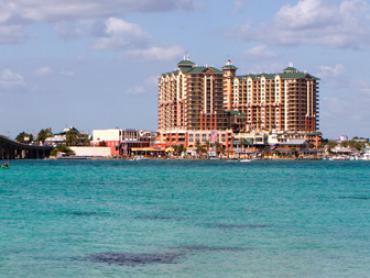 Texas is a good alternative, with Galveston as its fishing epicentre. 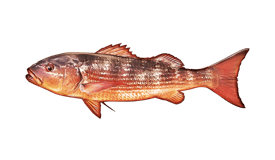 This species is something of an omnivore, but their preferred meals will be squid, live or strip baitfish. To get the really big ones, you should use whole squid, whole 2-3lbs fish, or bloody pieces of Bonito. They like still or slowly moving bait. Jigs also work well and, if chummed up to the surface, flies will do the trick, too. 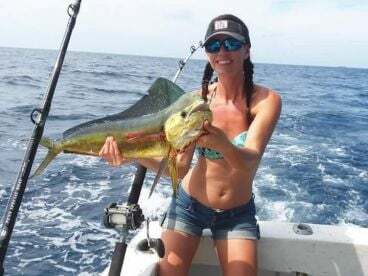 Anglers in Gulf and Atlantic waters off Florida are required to use circle hooks and dehooking devices. 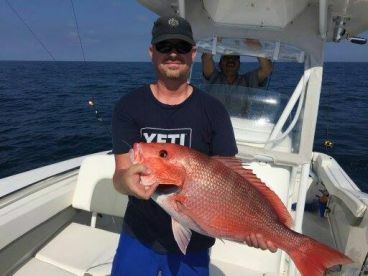 Why else would everybody be lining up for Snapper charters during summer? 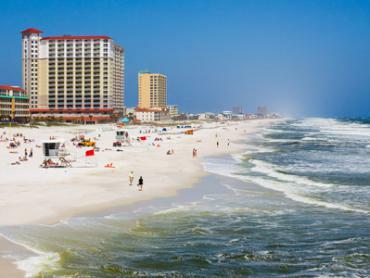 Florida - In Gulf state waters (from shore to 9 nautical miles), the season opens in May and lasts until July, extending into weekends in September and October, lasting about 70 days (variable); In Atlantic state waters (from shore to 3 nautical miles), the season is open year-round. 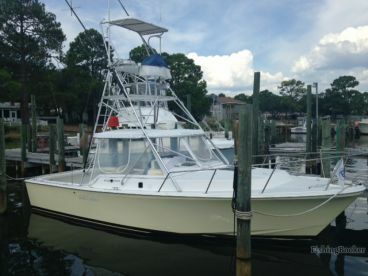 Federal-for-hire vessels have a 45 day (variable) season allocated in June and July, so be sure to check whether the boat you're chartering is state or federally licensed. 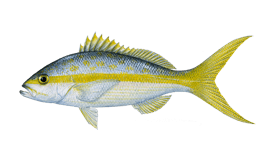 Exact dates can be found on the Florida Fish and Wildlife Conservation Commission website.